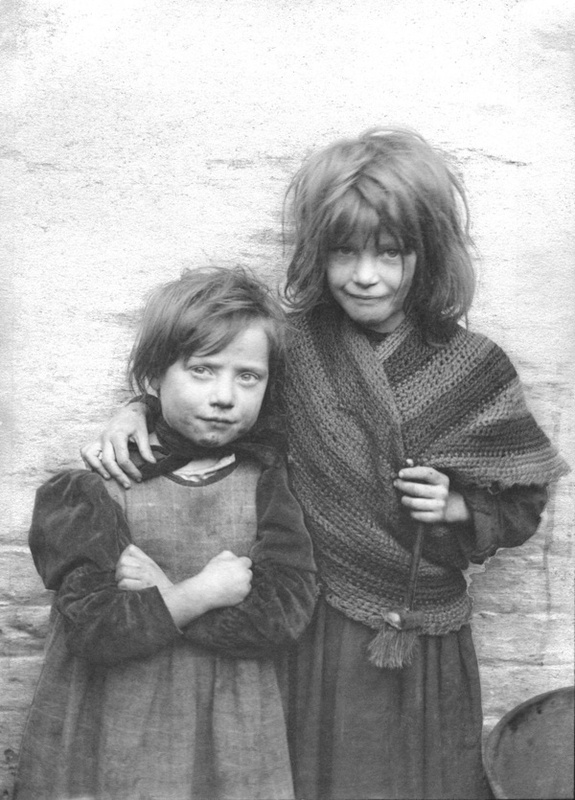 On Sunday November 16th at 4pm, I shall be introducing Horace Warner’s Spitalfields Nippers and reading some of the biographies of the children in the pictures at the Whitechapel Idea Store - admission is free and tickets can booked at Write Idea Festival website. There will be sign language interpretation at this event. In Horace Warner’s portrait of 1901, Lizzie has equanimity but Dolly appears tremulous, clutching the hearth brush as if about to return to sweeping the grate. They both seem preoccupied, yet they gaze intensely at the lens, aware that photography is significant experience which requires attention. Since Horace Warner labelled his portrait with their names, we have been able to trace some of the primary events of their lives and now it is impossible not to see this photograph in the light of the futures that lay ahead for Lizzie and Dolly. Lizzie Flynn was living at 19 Branch Place, Haggerston, when she was nine years old in 1901. Daughter of John and Isabella Flynn, she had two brothers and a sister. 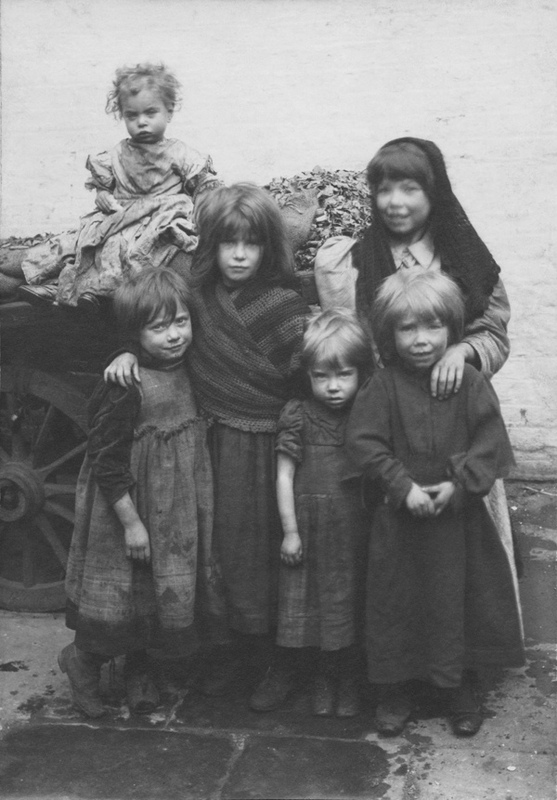 By 1911, the children were living with their widowed father at 89 Wilmer Gardens, Shoreditch. Their place of birth was listed as “Oxton” in the census. On 9th May 1915, Lizzie married Robert May at St. Andrew, Hoxton. He died at the age of just thirty-four in 1926 and they had no children. Lizzie died in Stepney in 1969, aged seventy-seven. Dolly Green (Lydia Green) was living at 31 Hyde Rd, Hoxton, with her parents Edward and Selina in 1901 when she was twelve years old. Dolly had a brother and sister who had been born before her parents’ marriage in 1881. Dolly married Edward Moseley in 1909 at St Jude in Mildmay Grove and they had two children – Arthur born in 1912, who died in 1915, and Lydia born in 1914, who lived less than a year. In 1959, Edward Mosley remarried after his wife’s death. unfortunate to be born in poor times ,they were pretty girls who deserved better. like so many of that time.